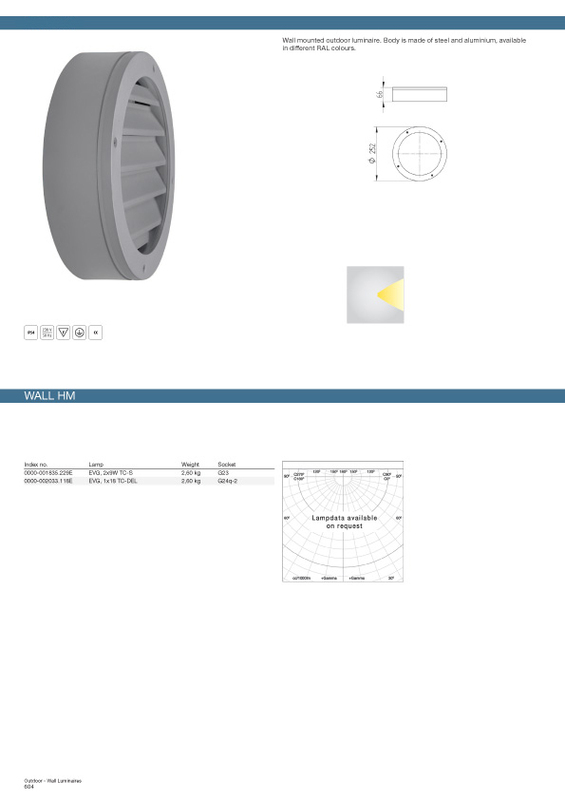 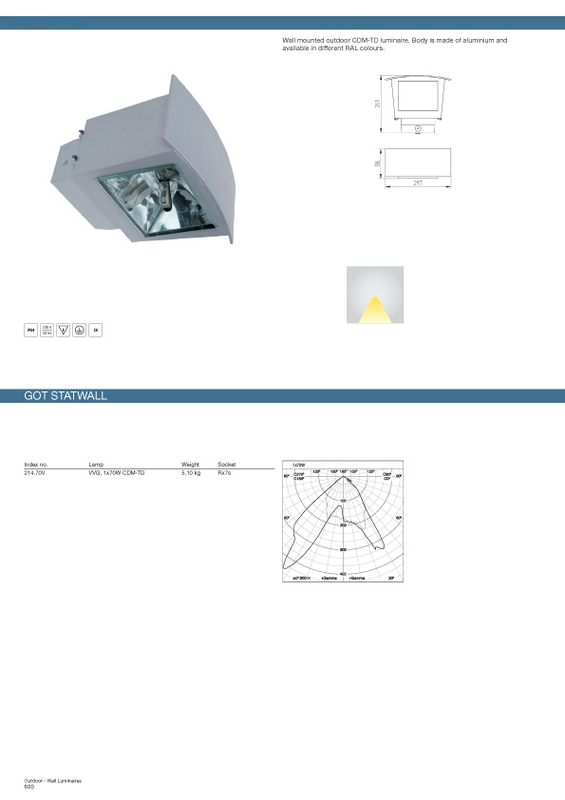 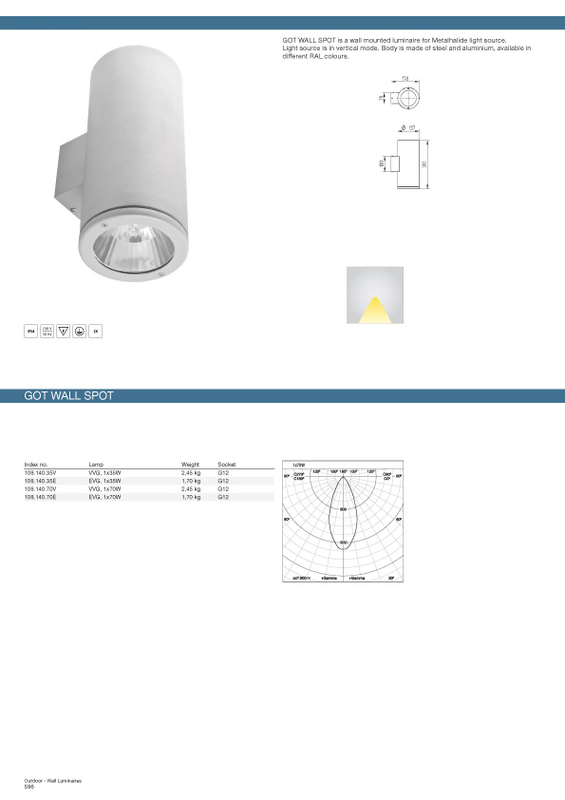 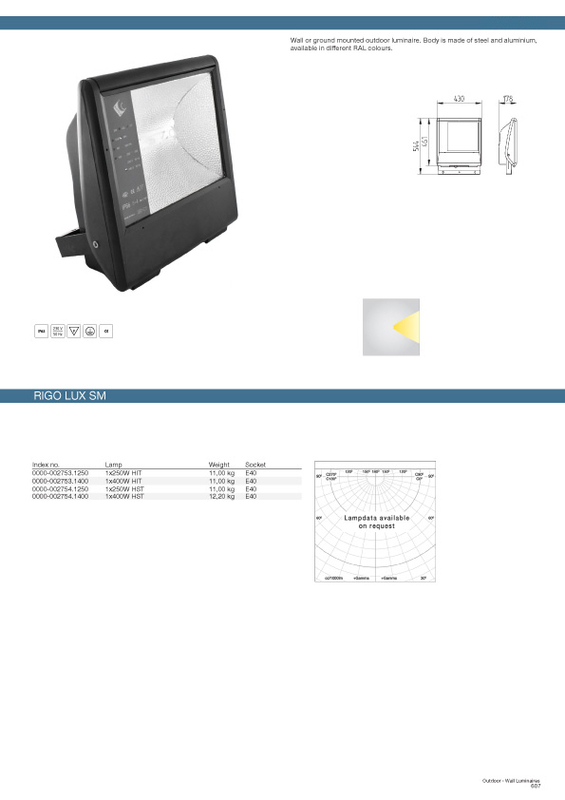 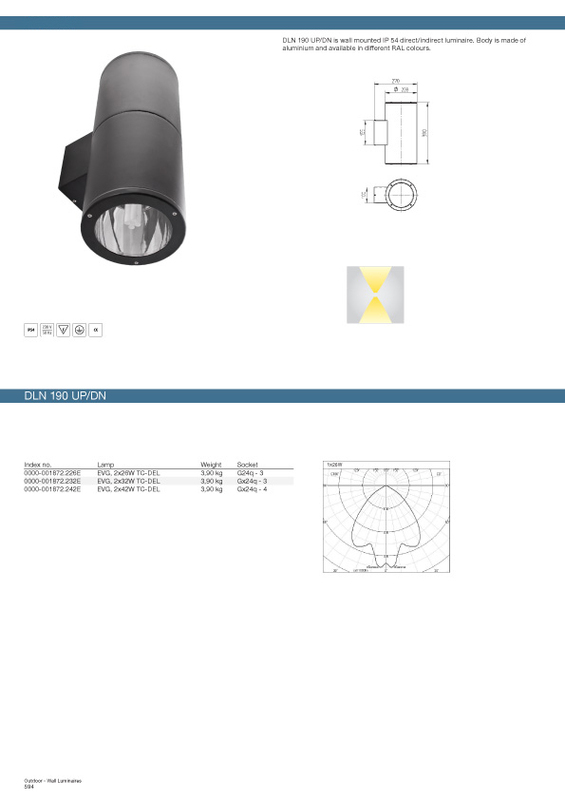 DLN 190 UP/DN is wall mounted IP 54 direct/indirect luminaire. 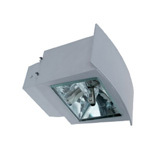 Body is made of aluminium and available in different RAL colours. 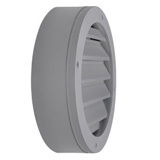 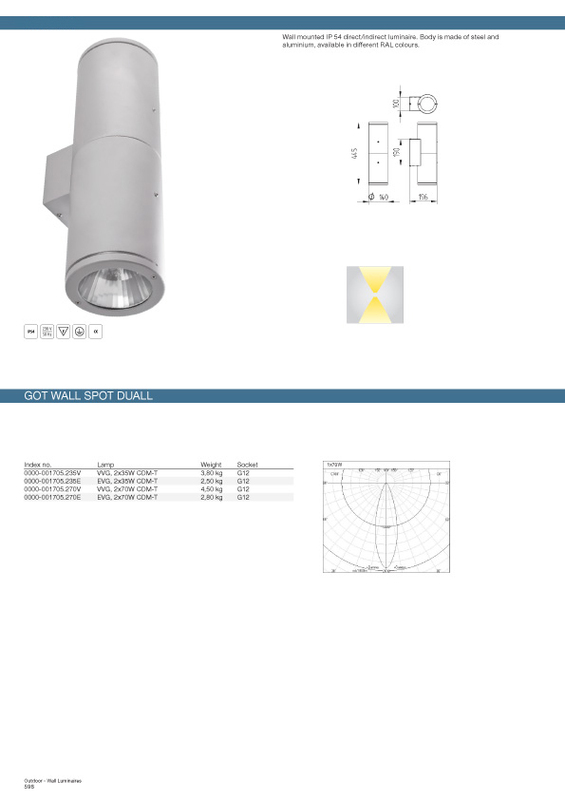 Wall mounted IP 54 direct/indirect luminaire. 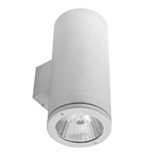 Body is made of steel and aluminium, available in different RAL colours. 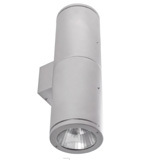 Wall mounted outdoor luminaire. 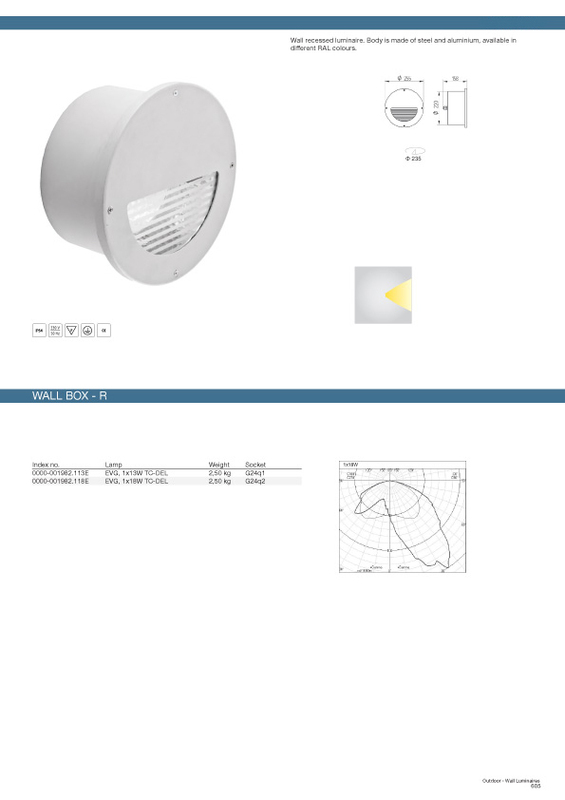 Body is made of steel and aluminium, available in different RAL colours. 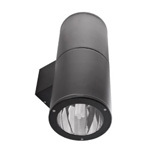 Wall mounted outdoor luminaire. 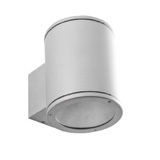 Body is made of stainless steel and aluminium, available in different RAL colours. 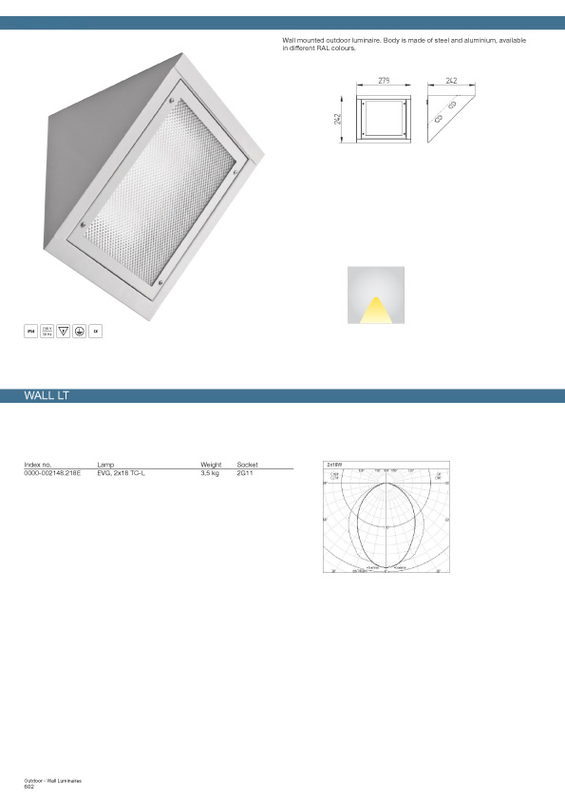 Wall recessed luminaire. 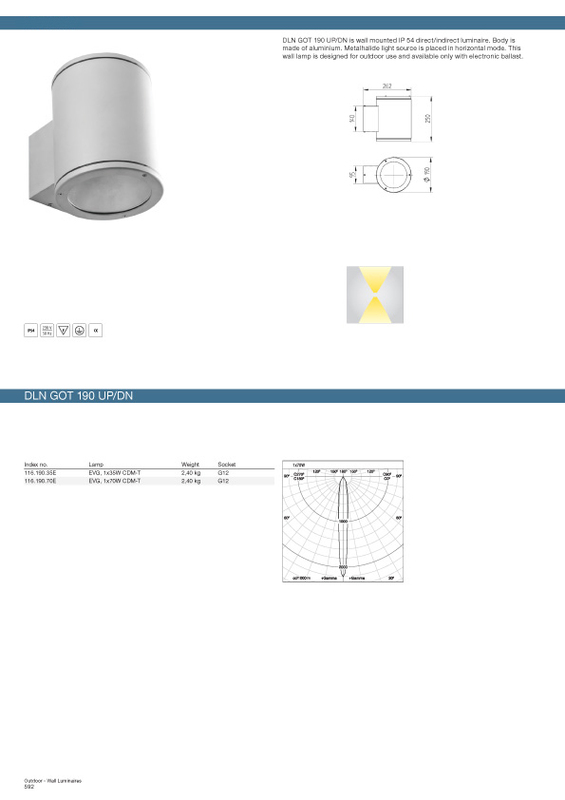 Body is made of steel and aluminium, available in different RAL colours. 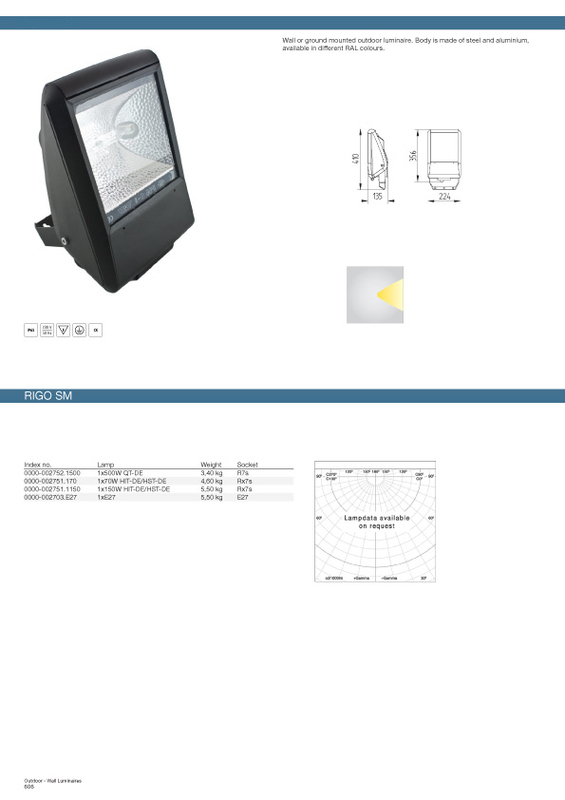 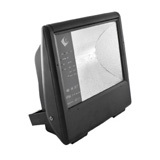 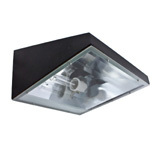 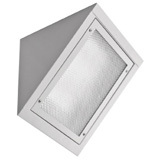 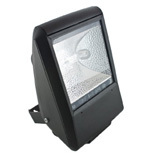 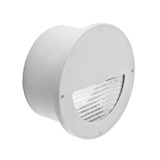 Wall or ground mounted outdoor luminaire. 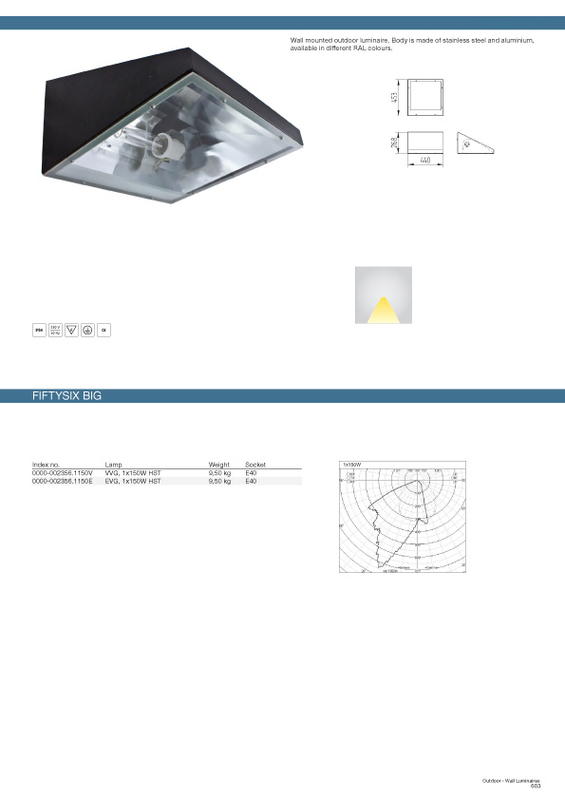 Body is made of steel and aluminium, available in different RAL colours.